GDC is the oldest conference in the game development industry and this year they expected 27.000 professionals gathering from all over the world in beautiful San Francisco. How does it work? 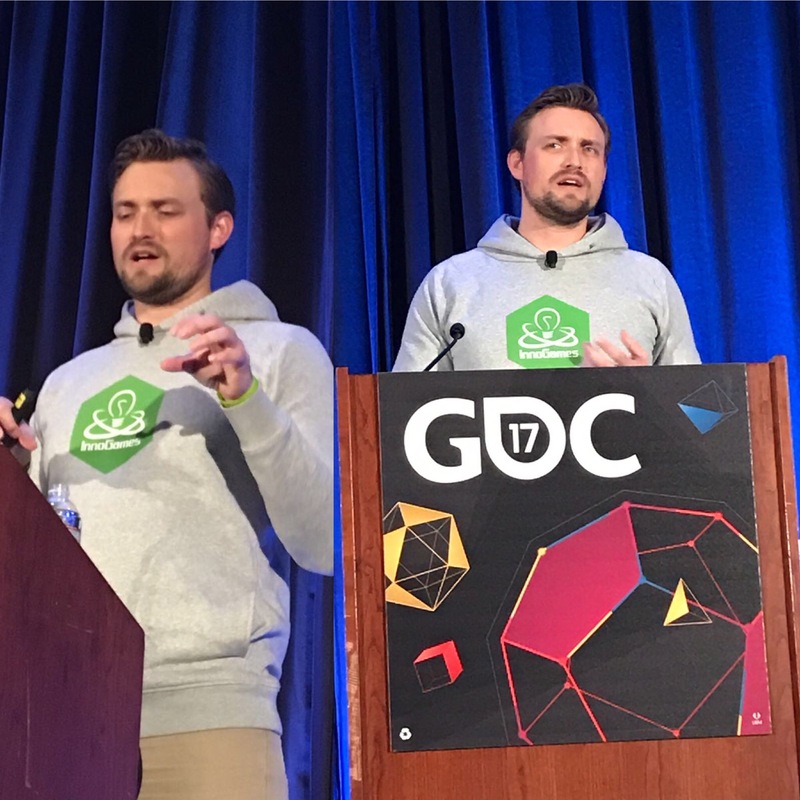 How to land a talk at GDC? Let me give you a quick overview. Remember this is my personal experience and it could be different next year or even this year depending on what you wanted to talk about. Roughly a month after the proposal deadline, mids of September I got an exciting email telling me that my submission was accepted to the next stage - Phase 2. I was super psyched - Awesome I got accepted at GDC!! Or didn’t I? No, not so quick. What the hell is Phase 2? Phase 2 means you have 3 weeks to write a scientific quality article about your topic. They connect you to a professional out of the industry, a member of the advisory board as your mentor. Together with this mentor you work the rest of the details of the talk out. They provided me with an example paper of a talk that got accepted 2 years ago - a 21 pager full of graphs and schemas - I was intimidated. But what the hell I wrote it. After all it is a great way to find out for yourself what you actually want to talk about and what is the essence of your topic. After that I got finally accepted fully and my next goal was to transform the article into the slides and do a first rehearsal with my mentor in december over skype. Actually having a 21 pager of my topic helped a lot in creating the actual slides. It gives you confidence you have worked out everything you want to talk about and lets you focus on how to tell it. This is where you appreciate the loops the process made you jump through. Finally after countless rehearsals with porfessionals and total tech noobs the day came and my actual presentation was about to begin. It was an undescribable feeling to be in that room 30 minutes before the talk was supposed to start. You build up your tech, you have a couple of supporting coworkers with you, you joke around, you stay hydrated, you try to convince youself not to be excited. 10 min before the talk, you are wired up, you can’t deny it is going to happen and it freaks you out. On my way to the restroom for a last time I joke with the audio/video guy to keep the mic off until I am back. 5 min - I want to run away. BAM it starts! Everything flies by, you have no time to think. Keep breathing! It was a massive experience and right after the talk you do not want to stop, it is awesome, all the adrenalin, all the nodding heads, the laughters when u planned a joke, the laughters for moments you did not plan. Everything is so empowering. I can only recommend doing it and leave your comfort zone to get this rush! Absofuckenlutly ;) Didn’t you read the above? It was worth all the effort and I would do it again every time. I dont really know how many people were really sitting in the crowd but I definitly know most of all the GDC visitors have GDC Vault access after the conference. This is where all the talks are uploaded: video, audio transcript and slides, all there.